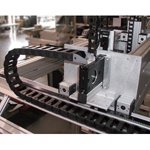 MB Kit Systems Inc., doing business as item North America for the past twenty plus years utilizes over 350 different structural aluminum profiles and 3000 modular components to design mechanical hardware solutions for a wide range of industrial applications. 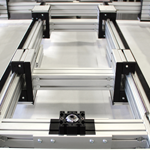 The straightness tolerance and precision of our aluminum extrusions enable us to design & build custom belt-driven linear actuators with travel from a few inches to over one hundred forty feet. 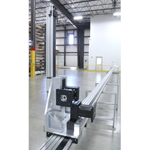 Loads of a few ounces to thousands of pounds are possible depending upon configuration. 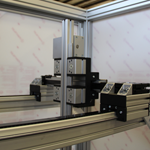 Single and multi-axis actuators can be configured to create significant sized Cartesian robots that can reach every single point within a given envelope. 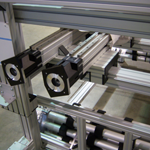 Additional linear capabilities include designing & building ball screws up to about 120 inches with five and twenty pitch screws. 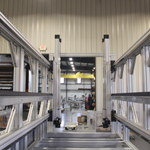 Custom machine frames, structures, specialty enclosures and safety hard guarding round out the product offering from MB Kit Systems Inc. No cost engineering/design support.